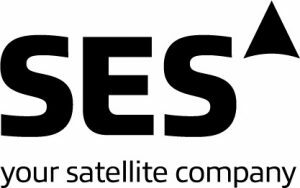 LUXEMBOURG, 1 February 2017 – SES S.A. (NYSE Euronext Paris and Luxembourg Stock Exchange: SESG) continues to lead High Definition TV (HDTV) development representing the largest HD and Ultra HD (UHD) platform. In 2016, the number of HD channels on the SES fleet grew by 7% to 2,495 channels. Today, 33% of all the 7,538 channels on the SES fleet are in HD, with SES carrying 27% of all HD channels globally. In addition, over 60% of all channels on SES’s fleet are now broadcast in the MPEG-4 compression standard. The on-going trend of the increasing HDTV penetration in Europe was the key driver of SES’s overall HDTV development, where the number of HDTV channels grew by 14% to more than 750 channels. This performance was complemented by the growth in HDTV across the Americas. SES is also continuing to maintain its strong momentum in the introduction of commercial agreements now secured for 21 UHD channels, compared with eight channels a year ago. Today, SES is broadcasting nearly 50% of all the UHD channels carried over satellite globally. In 2016, the acquisition of RR Media and the subsequent creation of MX1 through a merger with SES Platform Services supported SES’s unrivalled market traction on new HDTV and UHD channels across Europe and North America, as well as the further expansion of SES’s Video business across fast-growing emerging markets. The launch of SES-9 and the continued development of SES’s HD and Ultra HD business were also significant factors supporting growth in Asian markets, where the company is applying its differentiated strategy. The launch of SES-10 and SES-15 later this year will deliver further growth potential for the Americas.